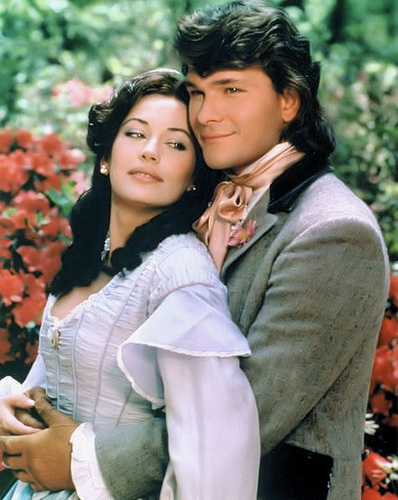 North and South. . Wallpaper and background images in the North and South (1985) club tagged: and main hazard north south George patrick swayze war. This North and South (1985) photo might contain strauß, korsage, sträußchen, sträusslein, blumenstrauß, posy, nasegay, corsage, gut gekleidete person, anzug, hosenanzug, pantsuit, and bluse.